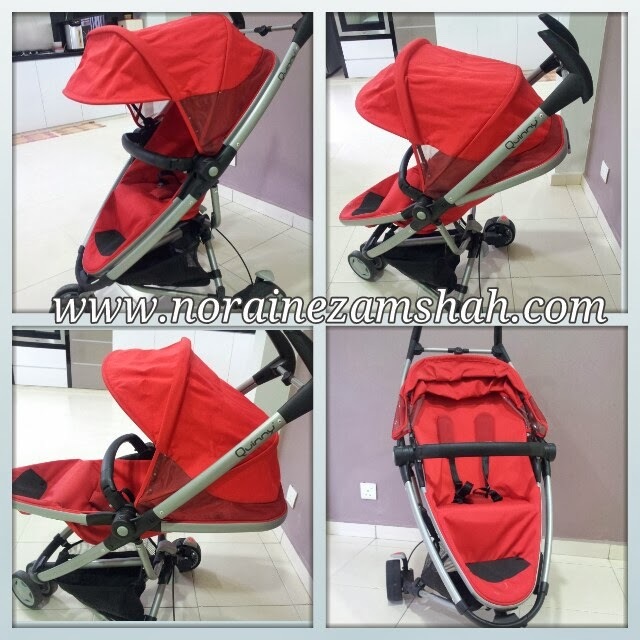 Straight to the point :) We would like to let go this Quinny Zapp Xtra 2012 model stroller kepunyaan Ifra Afiqah. Sedikit review about this stroller. Pertama sekali dari segi ketahanan memang bagus. Dari segi size, just nice. Not too bulky. Dari segi rupa, memang cun :) Dan quinny merupakan salah satu jenama pilihan untuk strollers. So sangat worth it memilikinya. Additional dalam preloved package ini, front safety guard. That one we all beli separate because they just selling stroller without it. So your little one will be extra safe besides wearing the harness. Anyone interested, just contact us ya. For pricing & further discussion. How much do you wanna let go of this stroller?